I’ve been writing for years and published many articles, essays and poems. The novel was another story, despite having a well-known New York City agent working on my behalf for years. I’ve collected enough lovely rejection notices to wallpaper a bathroom. The problem with my novels, as stated by far too many traditional publishing houses, had nothing to do with my writing, characters, plot or setting. It had to do with marketing, and their fear of not being able to sell my books. The reality of the changing publishing world mean that most authors will not see their work in print through a well-known published house, unless they have first had enough success through their own efforts and word-of-mouth for a ‘big’ house to take the risk. Authors must build and establish their own network to sell their books. With that in mind, I decided to invest in myself, and published my mystery novel through Bridle Path Press, an independent Baltimore, MD press. Bridle Path Press is the brainchild of author Lauren Small, whose historical novel Choke Creek was the first to be published through the press. Appealing to adults and young adults, the novel has found a wide readership that extends to its use in high school History and English classes in many schools throughout the US. Small started the press out of her own frustration with the traditional system, and her belief in the social issues that underlie her novel. The premise of Bridle Path Press is uniquely different from any other independent press I’d investigated. Writers invest in their work and retain 100% ownership rights. An editorial board exists to ensure the quality of the writers and books published under its umbrella. And here’s the mission of Bridle Path Press: To make no money. Yes, you read that correctly. BPP will not make a sou on your book. It doesn’t exist to make money, but to help authors print their work. But what it will do is help you get your work in print in an unusual "Pay it Forward" methodology that has published authors walk the newest members through the procedures needed to get a book into print. With its own phalanx of professionals on board, BPP will help the author find a copyeditor and book designer. It will assist you in obtaining your ISBN number and Library of Congress regulations, so that your book is listed in Books in Print. Members will calm your fears, help you make decisions, and celebrate with you when your book is printed. By creating this community, the Press is creating a haven of talented people who are willing to share their experience with each other toward a common goal: beautifully designed and printed works containing the best of contemporary writing. By being involved intimately with the production of your work, you make all the decisions on layout, font, paper and cover design. This approach brings the work to a new level of your own artistic vision. After that you will be finding the audience for your book, but here again there will be guidance to show you how to set up a marketing plan for your particular work. For any author, holding your bound book in your hand ranks right up there with other milestones in your life, a never-to-be-forgotten moment. Right now I’m caught up in a whirl of readings and signings, sales here and compliments there. I’ve been interviewed on radio, sent books out through the mail to ‘seed’ the market, and am receiving notes back from readers who love my book. 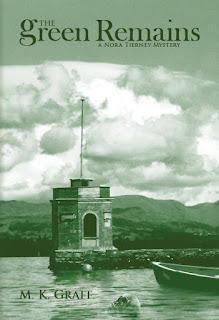 I’ve also started to write the sequel to my novel, and will probably publish it, once again, through Bridle Path Press. Marni Graff is the author of the Nora Tierney mystery series, set in the UK. 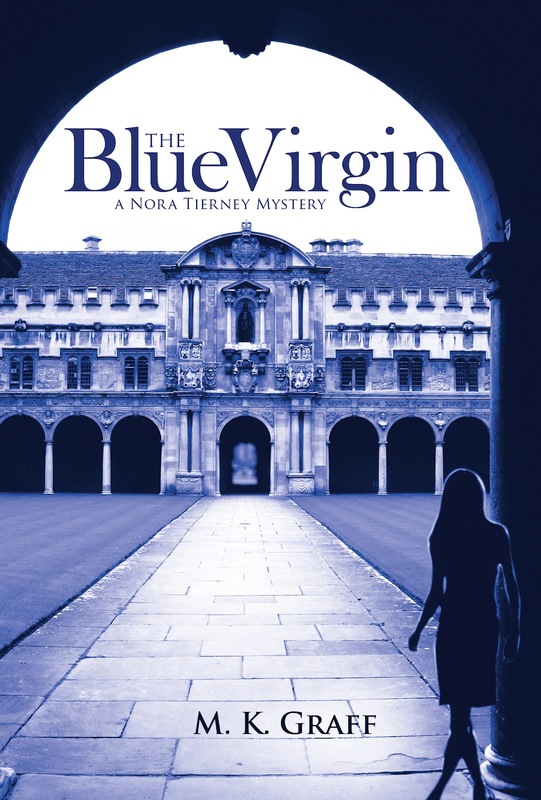 The Blue Virgin is set in Oxford and introduces Nora, an American writer living in England. She becomes involved in a murder investigation to clear her best friend as a suspect, to the chagrin of DI Declan Barnes. The Green Remains follows Nora’s move to Cumbria where she’s awaiting the publication of her first children’s book and the birth of her first child. When Nora stumbles across the corpse at the edge of Lake Windermere, she realizes she recognizes the dead man. Then her friend and illustrator, Simon Ramsey, is implicated in the murder of the heir to Clarendon Hall, and Nora swings into sleuth mode. Graff is also co-author of Writing in a Changing World, a primer on writing groups and critique techniques. She writes a weekly mystery book review at www.auntiemwrites.wordpress.com. A member of Sisters in Crime, Graff runs the NC Writers Read program in Belhaven and founded the group Coastal Carolina Mystery Writers. She has also published poetry, last seen in Amelia Earhart: A Tribute; her creative nonfiction has most recently appeared in Southern Women’s Review. Her books can be bought at Amazon.com or at http://www.bridlepathpress.com. Gayle, obviously I agree! For a writer with a story to tell, your work needs to find its audience. The problem with indys is not quality of product but one of distribution. The internet does make it possible for us to become known to some extent by readers. Every bit helps! Wishing you great success! Thanks Jacqueline. Distribution is what makes us all crazed. I've just finished booking a road tour that will take me from my NC home up to Maine and back, selling my books and spreading the word. Thanks for hosting me, Sheila. I got a bunch of likes and several private emails that people enjoyed it but didn't leave a comment on here, those lurkers! I thought the book was elegantly done, with touches that made it special. Yay for Lauren Small. I look forward to the next book. Distribution is really the problem, especially when distributors will not carry your book. I have the problem with my small publisher and their small press. It's one thing to do eBooks, but I'd never do it this way again if I wanted to print the book. Another problem is the pricing. Some small presses print the price sold on the website on the book, then list it on Amazon or Nook for a higher price. Not good and nothing the author can do about it. It sounds that what Bridle Path is doing is making sure the author gets professional assistance in layout, editing and design. However, I think if an author is meticulous about the final product, then Create Space could do the same thing and give an author more freedom. I wish you huge success with your books, and would love to read your first book. I sure learned a lot in this post, and have some researching to do. Thanks Marni and Sheila! actually enjoyed account your blog posts. Anyway I'll be subscribing to your feeds or even I fulfillment you get right of entry to consistently quickly.